Are you busy and desiring a break? Are you looking for an experience to create a lasting positive impact on your health, happiness and longevity? If you’ve answered yes to any of these questions, you’ve found it! Join us on our Qigong, Tea & Nature Retreat trip in the wild and beautiful lands and lakes of Western China’s Yunnan Province! This trip is exceptional. It both provides an adventure of a lifetime AND a roadmap to nurture a long, healthy and happy life. We do this through daily instruction in the foundational Chinese healing practices of Qigong and Tea. Qigong (pronounced Chee-Gung) is a Chinese form of breath, meditation and movement. It comes from Nature, observing the cycles, rhythms, harmony and innate wisdom of Life. Qigong is the root of Chinese medicine, martial arts and the more commonly known practice of Tai Chi. In this trip, we have daily qigong practice to cultivate our own health and vitality. Yet it also helps us tap into and receive the “Qi” (meaning energy and information) from the lands, people, cultures we immerse ourselves in. Qigong provides a new way of learning and receiving, a way that is effortless, enjoyable and deeply nourishing. With group practices each day, we form a foundation of new habits and self-cultivation – tools you can take with you and use for the rest of your life. Tea is another highly enjoyable pathway of self-cultivation and good health; this is known as “cha dao 茶道” – the Way of Tea. 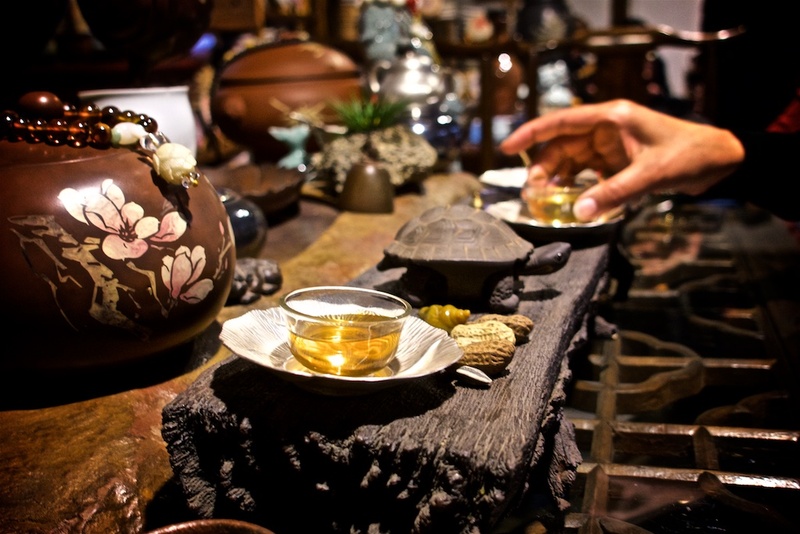 By immersing ourselves in the tasty elixirs, stories, legends, culture, aromas and ceremonies of tea, we embody another treasure on our path to life-long health. 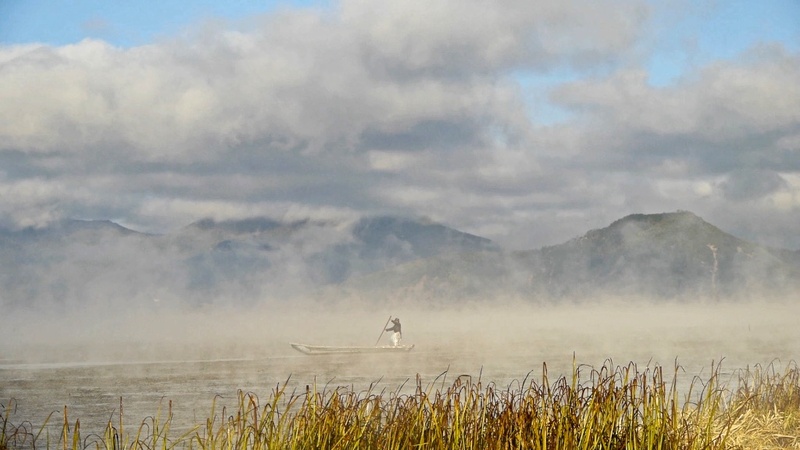 A couple key destinations on our trip include: Lugu Lake, home to one of the last Matriarchal societies in the world; and Liming, a gorgeous red-stoned “Zion” of Western China, home of the Lisu minority known for their archery, flute-playing and dances. 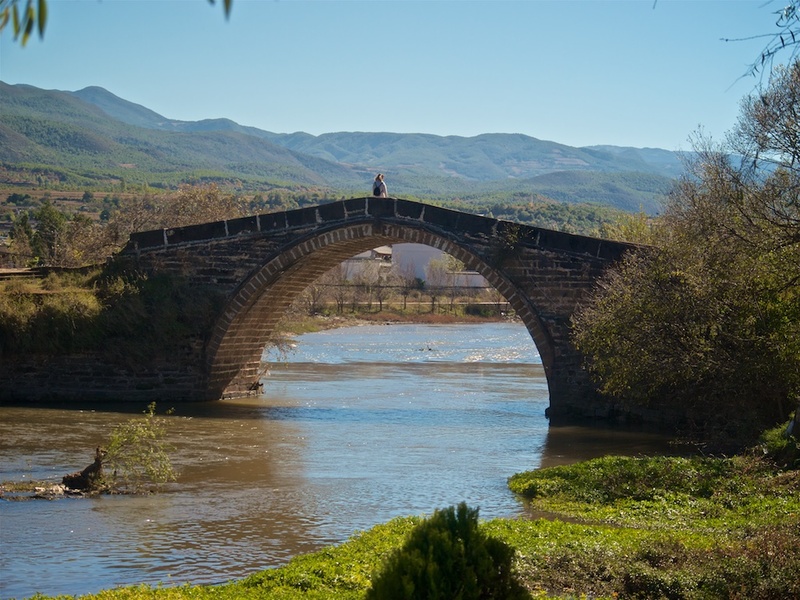 Our “base camp” will be in the small town of Shuhe with cobbled-stone streets and clear running waterways throughout. This over 800 year old town is home to approximately 3,000 Naxi people at the base of 20,000 ft Jade Dragon Snow Mountain. Our motto is “active journeys ~ true connections“. We value learning through our bodies, through quality and depth of experience in new landscapes and with the local people. In this way, the magic of these places and people will also live on inside you and shine forth in your life. We keep our trips small (usually 6-12 people). Come join us in China for a trip of a lifetime — a trip that will nourish you while there and builds a foundation for you to nourish your health, happiness and life years to come through the practices you learn and the memories you hold in your heart! Wake up to the taste and pleasure of new teas. Smell their aromas and feel their ethereal, medicinal, harmonic and magical qualities uplift your mood, awaken your body and calm and focus your mind. Each tea has a story and its subtle gifts to share with us. On days we are not traveling to a new location, we will begin with a cup of tea before moving into our morning Qigong session. Morning Qigong will be practiced outdoors where the Qi is fresh, beautiful and vital. We will focus on 3 fundamental practices during our trip: Hunyuan Qigong, Tai Chi and Bagua. Morning qigong will focus on Hunyuan Qigong, a highly nourishing practice that gathers, moves and stores qi deep in our tissues. It also relaxes and brings suppleness, ease and wellbeing to the body and spirit. After Morning Qigong and tea, we’ll enjoy a delicious local breakfast followed by the day’s adventure depending on where we are. It could include hiking up Goddess Mountain at Lugu Lake, biking to local Baisha village with majestic views of Jade Dragon Snow Mountain, visiting a local monastery or temple, floating the lake at Lugu Lake, visiting a local rose and honey farm, sipping tea at Xiao Lan’s tea shop and listening to legends and lore of tea stories, dancing with the Lisu people and hiking in their red cliff canyons, tasting local cuisine and treats at the village street markets, browsing the old Tea Horse Trail museum and more. Most days we will also have an afternoon outdoor Qigong session. These will focus on Tai Chi, a Qigong martial arts form drawing from the movements and flow of Water, and/or Bagua, a Taoist circle walking and spiraling movement meditation based on the 8 fundamental energies (& trigrams) of the Yi Jing (Book of Changes). In the evenings, we’ll enjoy more tea together as we share our stories of the day and get ready for a restorative rest for the next day’s adventures. Taking time each day for tea, and Qigong practice outdoors is a powerful, nourishing and deeply enjoyable way to sink into being, to fully receive and experience the land, landscapes, people, cuisines, experiences…the rich Life around us on this journey. This trip combines both the restful restorative qualities of a retreat and the dynamic wonder of discovery and adventure in Western China. We’ll kick off the day with a morning qigong session followed by a warm and hearty Chinese/Naxi style breakfast. 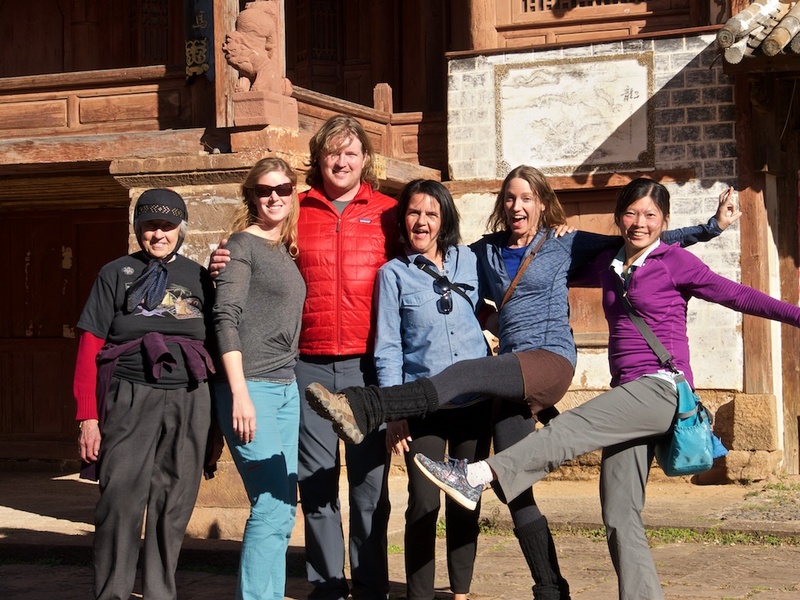 A short orientation will let people get to know their travel companions, and the leaders will detail the structure and goal of our retreat in Yunnan, China. We will immerse ourselves in the wild lands, study and taste tea, and learn and practice mindful movements and Qigong meditation. Lijiang was an important hub on the Tea-Horse Trail, which was a trade route between Chinese and Tibetans. 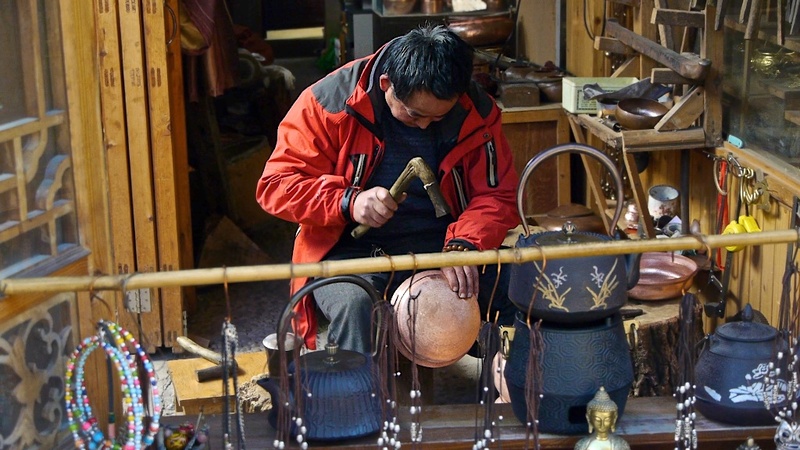 Today we will visit the Tea-Horse Museum to learn about the history of this ancient trade route. 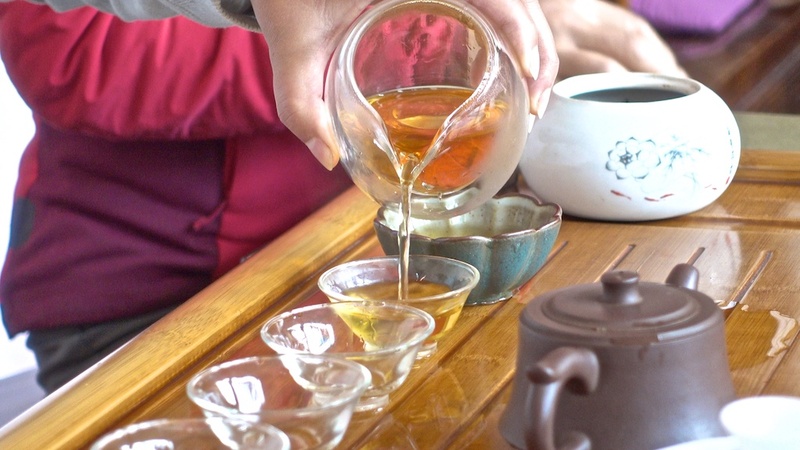 A tea professor, Xiao Lan, who specializes in Pu-er tea, will teach us all about Pu-er tea, including tea selection, brewing, drinking, culture etc. In the afternoon, we’ll visit a Tibetan Monastery to learn about Tibetan Buddhism. We then will practice qigong meditation in the temple overlooking neighboring mountains. Morning qigong session and breakfast will be followed by a visit to a traditional market, where you will see what locals eat and how they trade. Later today, we’ll perform an outdoor tea ceremony, visit a small old town called Baisha to check out handcrafted tea ware made of copper, and head up to the highest town in the region to be awed by the magnificent Jade Dragon Snow Mountain and practice qigong under its vastness. During these 3 days we will explore Lugu Lake area and its cultural heritage. 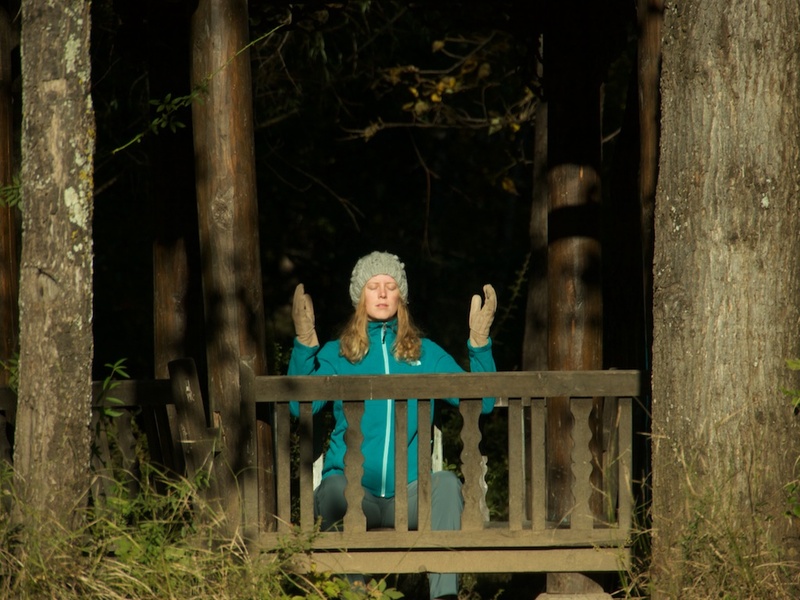 We will interweave qigong practice and tea rituals with wilderness and cultural activities. Hike – hike on the shoreline trails and hike up to a local limestone mountain to explore the karst formation in caves and encounter the native residents – monkeys! Besides daily qigong and a tea ritual, today we’ll learn more knowledge about tea ware. We’ll invite tea professor Xiao Lan again to explain how we should match different tea with different tea ware, why there are different shapes of tea pots and cups, how the material of tea ware affect the taste of tea etc. We’ll also venture out to taste different foods from other indigenous groups, and have relaxing strolls in this old town. We’ll walk into alleys paved by cobblestones and cross water canals dug for past time leather making. To conclude our epic journey, we will enjoy a restful morning, a final qigong session and review of what we’ve learned, and a closing circle to share and reflect on the beautiful adventure we have created together on this trip. We’ll conclude by 12 noon. Our journey begins and concludes in the picturesque region of Lijiang (lodging in nearby Shuhe village). Lijiang was one of the trade centers along the ancient Tea-Horse trail and is now a popular point of embarkation to enjoy the diversity of the Northwestern Yunnan-Guizhou and Tibetan Plateaus. 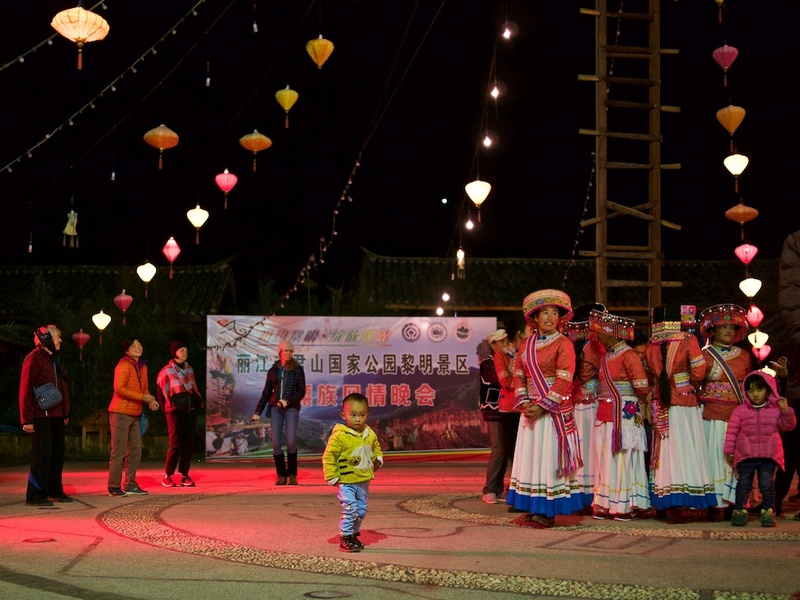 Here, our group will investigate ancient towns lined with cobblestone streets featuring the distinct architecture of the Naxi indigenous group. Adding to the uniqueness of this area are the systems of water canals and hundreds of bridges, some dating back to the Ming and Qing Dynasties, that were the lifeline of locals who relied on leather production for their living. The main water source for the town is Black Dragon Pool, whose many tributaries flow to the vicinity of every family. The quiet and authentic Old Town of Shuhe where we will stay has a population of 3,000 people, with similar networks of waterways. Six km from Lijiang, Shuhe sits in the shadow of Jade Dragon Snow Mountain, almost 20,000 feet high looming above what is the earliest home of the Naxi indigenous group. The snow-capped Jade Dragon is considered as the holy mountain of the Naxi. Just 8 kilometers from Lijiang Old Town is one of the oldest villages in Lijiang City, “Baisha” which means, “white sand.” Baisha acquired its name because of the pure white sand that is found in this area. The ancestral anchor for the Naxi indigenous group, Baisha boasts a unique layout of central market square surrounded by water canals, streams that flow outward from its central plaza. Baisha’s famous fresco murals date back to the Ming Dynasty although further back, it is the cradle land of the Tusi Dynasty, which arose from the Mu Clan. The aged Dr. Ho Shixiu, an herbal doctor known for his powerful cures, has brought contemporary interest to ancient and picturesque, Baisha. Lu Gu Lake is a 4-5 hour drive Northeast of Lijiang. Located at the mountainous region bordering Yunnan and Sichuan provinces, the lake is a dreamlike alpine body of water with an average depth of 45 meters. At an elevation of 8,809 feet, it is the highest lake of Yunnan province. The lake is surrounded by mountains and has a few small islands and peninsulas. Many ethnic groups reside along the shore, such as Norzu, Yi, Pumi, Tibetan tribes, and the largest population of the ancient matriarchal indigenous lineage, the Mosuo people, reside here. We will have opportunities to “float the lake,” take boating excursions in dugout canoes to traverse and explore along the sparklingly clear and smooth lake, visit one or more of its five islands. According to local tales, the tears of a beautiful girl name Gemu caused the creation of Lu Gu Lake. Gemu cried and cried when she worried about whether her many secret love affairs would be discovered. Then, in running after a male spirit that was leaving her – Gemu dropped her earrings, which fell amidst the pool of her tears. The earrings became islands in the lake that formed from Gemu’s tears and several of her lovers became the towering mountains, which overlook the lake. The scenery is breathtaking along these turquoise waters. It feels so separate from the outside world and opens an alternate dimension and expanded consciousness. Traditional timber houses dot its shores. 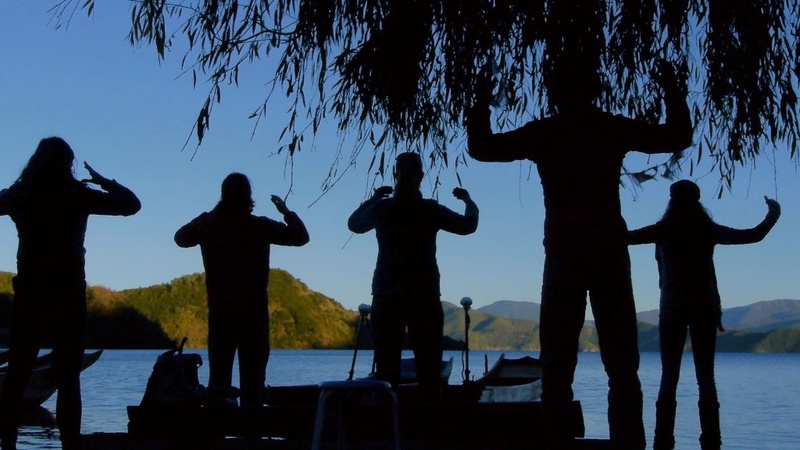 The high backdrop of mountains and crystal-like lake are the perfect place to engage in qigong practices that are derived from nature, all bringing us into harmony with the land, spirits, waters and its people. We experience the daily rhythms and ancient wisdom of many of Lu Gu’s ethnic groups including Tibetan tribes and monasteries and the Mosuo people, one the last matrilineal societies on Earth, a small tribe which is considered to be part of the larger clan of Naxi people. For the Mosuo, there is no marriage certificate – a “walking marriage” is the norm and women lead and support the families, hence the nickname for this region is “the Kingdom of Women.” The matriarchal society strives to keep a unique heritage that thrives along a lake area that remains largely undisturbed by the frenetic outside world. A 3 hour drive to the Southwest of Lijiang is a small mountain village named Liming, nestled into an idyllic valley landscape surrounded by dusty fields and pristine pine forests and located at the base of Lao Jun Shan National Park. There is one street in Liming (8,000+ feet) and it takes less than 10 minutes to walk from the start to the finish. However, the scenery of this short walk is awe-inspiring, with red cliffs rising up one after another on either side. You may look down for a moment’s break from the blazing red color of these magnificent cliffs, only to find there is no escape – the street is constructed of red sandstones and is called “Red Stone Street”. Red is the theme color of this place. When the sky is overcast, 30 minutes before it becomes completely dark, the red cliffs – towering sandstone walls bathed in sunlight – are otherworldly. The only thing comparable is the polar light. The towering sandstone spans over 25 square kilometers and tops at 150 meters high. The local Lisu people are historically known to scale these high walls as they search for bird’s nests, collect lichen and track down beehives for honey. The Lisu appeared to have used sticks to chisel into the stone, inserting wooden ladder steps upon which to climb. The holes remain to this day. The largest ethnic group of Liming, the Lisu, have invented many interesting musical instruments to accompany their traditional dances. The Lisu people, who historically lived in high mountain villages or among the mountain’s valleys, are believed to originate from eastern Tibet. A short walk beyond the main street brings you to the river, dotted by several Lisu farmhouses. Small Lisu villages in nearby valleys are spotted from a short hike up sandstone formations. 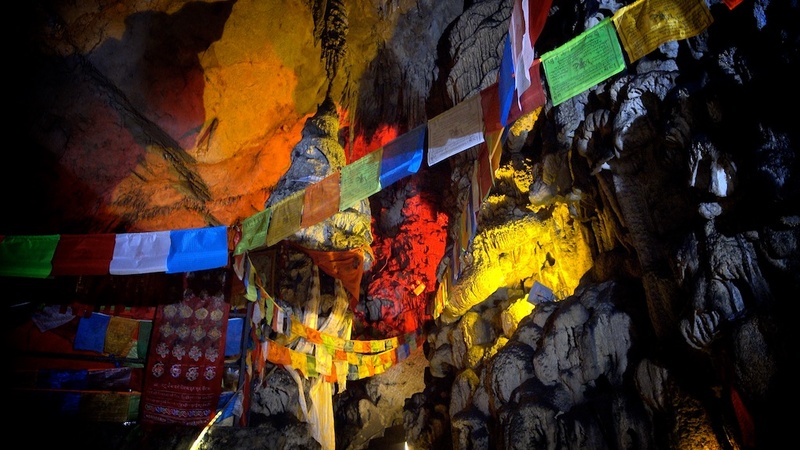 Liming is a hidden jewel, one of the most overlooked destinations in the vicinity of Lijiang. 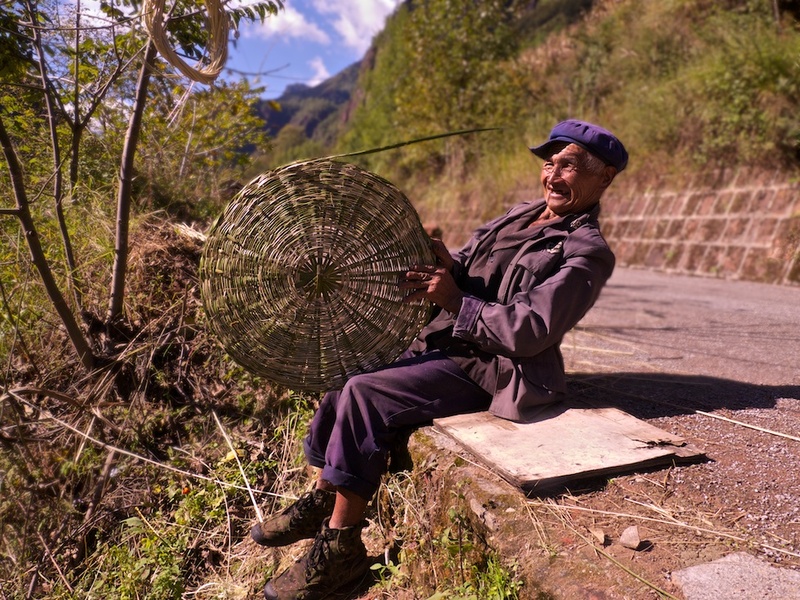 The town is quiet and the Lisu people welcome visitors but never alter their daily routines. 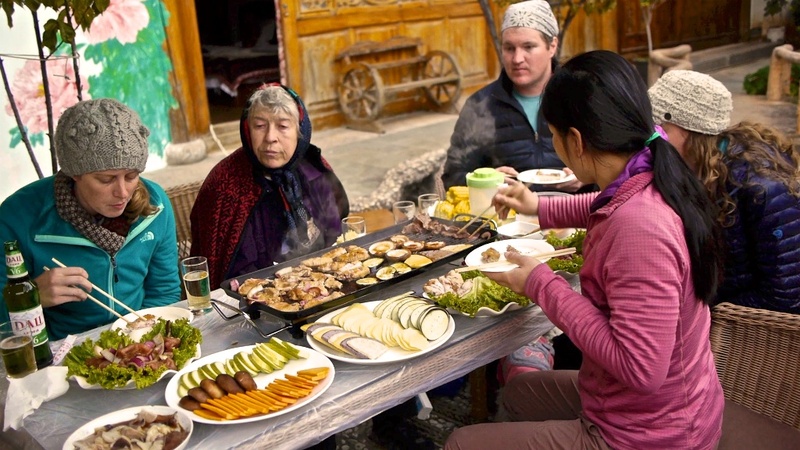 If you are perceived as welcoming, an elder might show you his handmade coat, teach you how to play fulu jewlew (type of flute), weave a container with straws, handcraft a sheep/goat skin coat, or invite you for a folk dance and/or to sip the home-made rice wine of the Lisu people. Note: Participants are encouraged to arrive in Lijiang at least a couple days early to relax, shake off jet lag, and get used to the altitude (Lijiang’s elevation is around 8000 feet). We will help arrange airport shuttle and accommodation. Price includes the following: alls meals (from breakfast of Nov 8 till lunch of Nov 17), lodging (9 nights, based on 2 people sharing a hotel room), ground transportation, admission to parks, permits, and bilingual guides, qigong tuition, local events. The price does not include airfare, checked baggage fees, airport shuttle between Lijiang airport and Shuhe, visa fee, travel insurance, personal gear, immunization, personal snacks, drinks, and gratuity. The tuition of the trip is $3200.00 per person. The price is based on a minimum group size of 8 participants. A $500.00 deposit is required to reserve your spot. 50% of your payment is due on July 1st, 2018. Full payment is due August 8th, 2018. We’ll follow up with you for the remaining payment. If you cancel 30-59 days in advance: 50% of trip tuition. If you cancel within 30 days or less: 100% of trip tuition. There is no refund given if you cut your trip short for any reason. I would like some information regarding accommodation, Thank you. please refer to the email we send you. Just to reiterate here all the accommodations are lovely, clean and have hot water and wifi. For the small remote villages we go to (Liming for example), the accommodations are more simple and family-run. But they are lovely and this more intimate experience is one of the things that make our trips unique :). 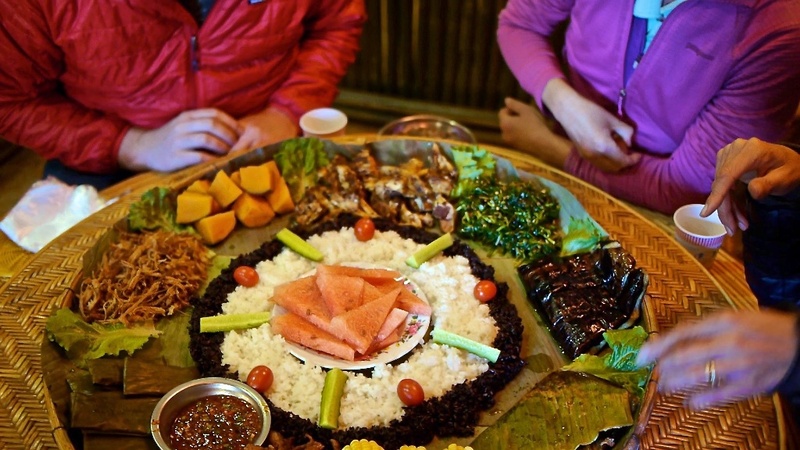 We offer a taste and experience of China that is not available to most Westerners.